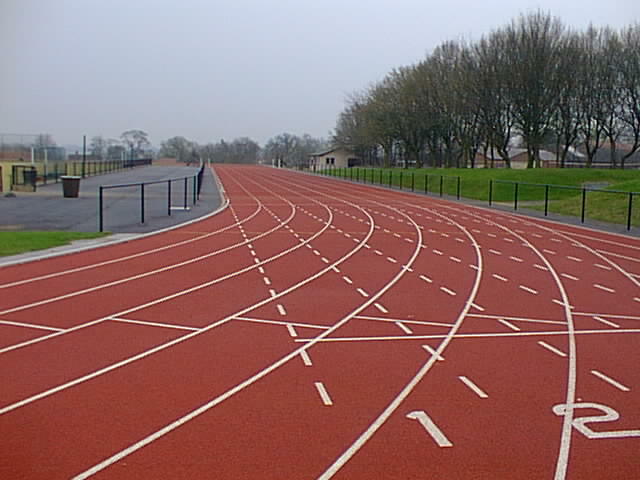 The track was originally cinder and is mentioned in the 1962 AW list of cinder tracks. It was upgraded to synthetic by G. Thornton Contracts Ltd. in 1998 and has a Polyflex surface. The infield is an all-weather football/hockey pitch and so the long throws are situated external to the track area. The start for the 100m and the 110m hurdles are at the same place so the 110mH finish is 10m past the normal finish.